In the early part of the 20th Century photographic chemistry was comparatively crude. Emulsions were not very light sensitive, meaning that large surface areas were required in order to expose enough of the material to light – more surface area captures more light. As a consequence photography was largely the province of the well heeled or portrait artists. Equipment was big, expensive, hand made and required lots of time to setup and operate. Look at photographs from the late 1890’s through to 1920 and you’ll see little that is spontaneous or casual; making a picture was an undertaking. A large film media requires a large image circle, which in turn results in a lens that’s sited further away from the film plane – and as a result the whole light box that is the camera must itself be large too. 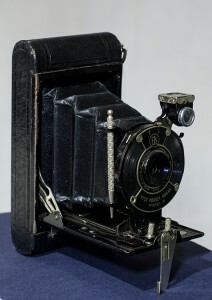 Various techniques were tried to combat this, most common being the bellows unit and folding or collapsing lens mechanism. Although invented in 1885, the flexible, transparent film as we knew it was not widely used until 1910 or so – this was another major step forward in democratizing access to photography, as now a separate, expensive, glass plate was not required for each image. From the 1920’s to the 1940’s several things changed; film emulsions became more sensitive which lead to the ability to use smaller negatives, and manufacturing techniques scaled up thus reducing unit costs. Across every sphere of human industry manufacturing was automating, and every manner of manufactured item was becoming more economical and accessible. Everything changed profoundly when Kodak introduced the 135 film canister in 1934 – we’d come to know it as 35mm film. This addressed ease of handling by holding the film stock in a light tight canister, and promised many more exposures per roll, with easier loading, than had ever been possible with 120 roll film. This new, smaller film format opened the door to the rapid expansion of photography and cameras, starting with the rangefinder. The first Leica rangefinders sold for around $4,500 in 2013 terms, a premium product then and now. 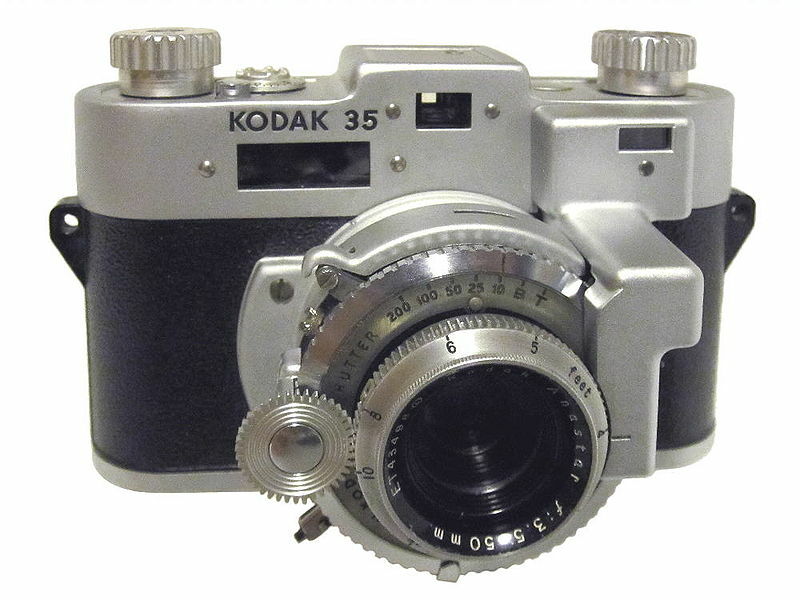 By the late 30’s other compact rangefinders were entering the market – the Argus C3 sold for the equivalent of $350 and the Kodak 35RF for $780 (2013) in 1940 when it was introduced. Rangefinders were great for all manner of everyday photography, especially the recently emerged field of photojournalism, travel and family keepsakes. Over the next 20 years the photographic equipment market would blossom, and names from far flung corners of the world would become common place. Images were captured during World War II that would have been much more challenging in the days of TLRs; a field reporter or infantryman could carry a compact 35mm camera almost anywhere. In the aftermath of their defeat the Japanese needed a way to boost their economy; they need something that required the minimum of raw materials, was cost effective to ship great distances and could then be sold for a premium price. 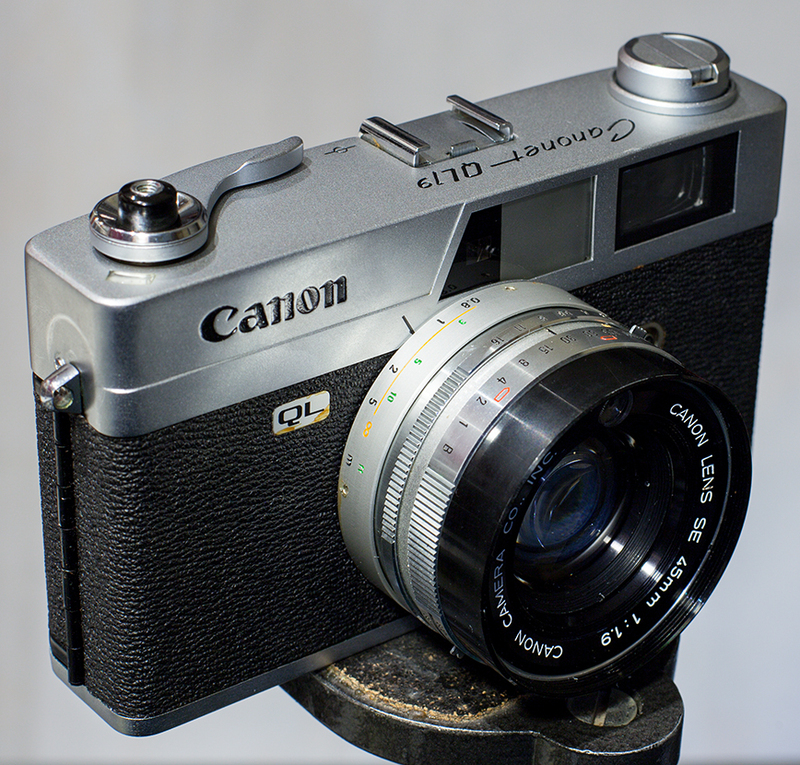 Just as the Swiss before them with watches, for the Japanese manufacturers of the late 1940’s cameras were a boon. 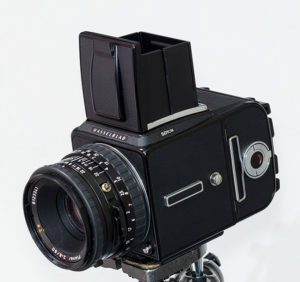 Several manufacturers had been producing specialized lenses for X-ray and other applications, and their first in-house cameras stared appearing in the late 1940s. In a pattern that was to be repeated in several other fields, early Japanese models were heavily influenced by older designs from traditional names, such as Leitz. Although introduced 40 years after the 500C, the 501CM looks very similar and is interchangeable with many parts. Everything changed profoundly when Kodak introduced the 135 film canister in 1934 – we’d come to know it as 35mm film. This addressed ease of handling by holding the film stock in a light tight canister, and promised many more exposures per roll, with easier loading, than had ever been possible with 120 roll film. This new, smaller film format opened the door to the rapid expansion of photography and cameras, starting with the rangefinder. Over its life the chemistry involved grew ever better, and emulsions ever more sensitive, leading to higher quality color reproduction and finer grain from this diminutive format. The first Leica rangefinders sold for around $4,500 in 2013 terms, a premium product then and now. 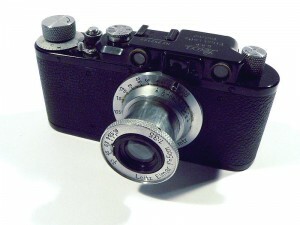 By the late 30’s other compact rangefinders were entering the market – the Argus C3 sold for the equivalent of $350 and the Kodak 35RF for $780 (2013) in 1940 when it was introduced. Rangefinders were great for all manner of everyday photography, especially the recently emerged field of photojournalism, travel and family keepsakes. Over the next 20 years the photographic equipment market would blossom, and names from far flung corners of the world would become common place. In a pattern that was to be repeated in several other fields, early Japanese models were heavily influenced by older designs from traditional names, such as Leitz. As time progressed into the ’50 and 60’s they began to draw apart, developing their own design esthetic and pattern. During this same time period many American service personnel found themselves in Korea or Vietnam, and began to bring home Japanese rangefinders from Asia, not only capturing amateur photo-journalistic records of those conflicts but also introducing the folks back home to these ever better photographic tools. Even as 35mm represented a leap forward in ease of use from the roll and sheet formats that preceded it, the push was still on to find easier and easier ways for consumers to handle film. One answer to this was the 126 cassette format introduced by Kodak in the mid ’60s. It was a sprocket-less 35mm film base used in a sealed cartridge having both supply and take up spools fully encased, and the film exposed to the camera through a square hole. This also represented the first time that a film cartridge would automatically set the ISO for the camera meter, with indentations molded into the plastic setting a pin within the camera body. The Camera Obscure (translated as “dark chamber”) dates to around 1021 when it first appears in print in a work by a Muslim scientist Ibn al-Haytham, and it was little more than a sealed room with a pinhole in one wall which admitted light reflected from the scene. An artist could then trace the projected image onto a canvas as a starting point for a painting – perspective was not well understood at the time. The image was laterally and vertically reversed. The simplest of early cameras also used a pinhole design, projecting the image onto a plate which was the same size as the finished print. As a consequence photography was largely the province of the well heeled or portrait artists. Equipment was big, expensive, hand made and required lots of time to setup and operate. Look at photographs from the late 1890’s through to 1920 and you’ll see little that is spontaneous or casual; making a picture was an undertaking.